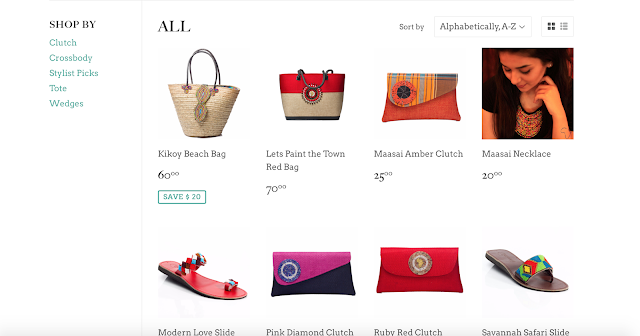 Ikwetta is a brand that specializes in handmade sandals, bags and accessories that are crafted by amazing artisans using intricate traditional Maasai beadwork. These artisans currently operate in slums, and so Ikwetta aims to present their high quality masterpieces to the world, and in the process helping them earn better so that they can end poverty and bring them out of living in slums. The brainchild of Leela and Sheeni, Ikwetta was started out with a good cause in mind. While at Kenya, they witnessed that on every Thursday morning, over 200 local artisans would gather in the parking lot of the Junction Shopping Mall in Nairobi and would put on display their week’s worth of efforts. The art pieces range from items like wooden animal carvings, soapstone engravings, papyrus paintings, hand-stitched skirts and blouses and many more. It was however the handmade sandals that stole owner Sheeni’s attention; the base of the sandals were made with leather and the design on the sandals were so colorful and eye-catching that when she picked up one of them she was in awe - those intricate designs were entirely made using small beads! A pair of these beautiful handmade beaded Maasai sandals takes one person approximately 4 hours to make, and they do so using nothing but needles, scissors, hammers and a whole lot of focus. Despite all that, they make only $1 profit each pair they sold, which Sheeni felt was unfairly valued. After speaking to the artisans, the root of the cause was the lack of a proper consumer market. The only consumers these local artisans could target were tourists who come to Kenya for a safari and have one afternoon in Nairobi, and even with them they had to drive down prices to be able to compete with other sandal makers. These talented artisans - due to poverty, currently operates from the slums of Kenya in the most adverse conditions. Sometimes on rare occasions when they get an order, they are unable to fulfill as they have insufficient supply of electricity, lack of raw material and inadequate basic necessities. While they know that these African artisans definitely have the talent and their passion shows in the products they make, they realise that what they lack is an avenue through which they could make a decent living through their skills and hard work. And thus, Ikwetta was started up - a campaign to help these African artisans put poverty to an end and help them fetch a price their beautiful products deserves. 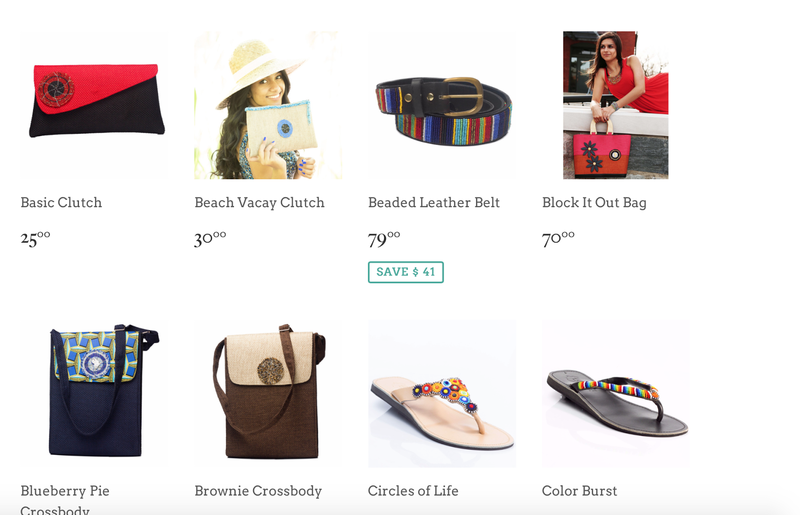 With the sandals, it gives my outfit a whole new look - and it is very versatile! This All American Clutch adds such a pop of color to my all-white outfit! I am also definitely in love with the straw-like material the clutch has, and not to mention it is of such great and high quality! 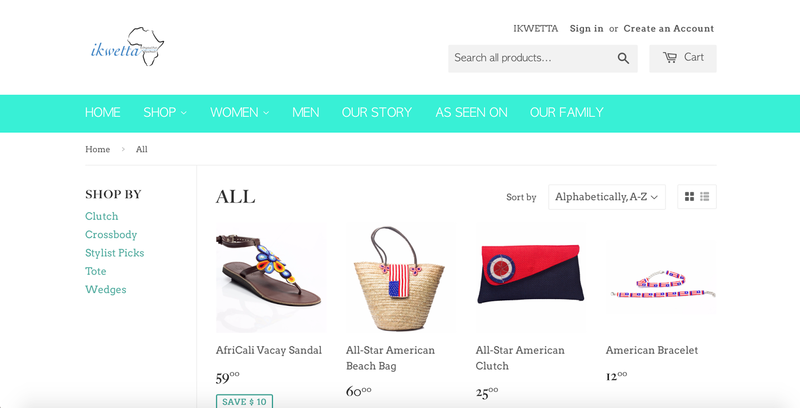 Some of the amazing products listed on Ikwetta's site!! The reason why I am in awe of Ikwetta's mission, it is because it is not about giving support to Africans but making them self-supportive! Through Ikwetta as a platform and bridge to reach out to more consumers, these Africa's talented artisans will then be able to sell their beautiful products directly to us! This campaign seeks to raise the funds required to build a new workshop for these artisans, which means every single purchase we make not only changes the life of one artisan, but also helps the African economy flourish, thereby letting Africa stand on it's own two feet! Go ahead and shop now! Don’t hesitate to spoil yourself with authentic and unique accessories from Ikwetta! Remember that even while doing so, you are truly making a difference in someone’s life - you are feeding a family, fuelling a person with passion, and moving people out of slums! Also, remember to follow them on Facebook for sneak previews + juicy updates! Currently I'm having a giveaway for the ALL STAR AMERICAN CLUTCH! Hop on over to my instagram and find out more!